Boost your body’s fortification force and start to breathe calm with Living Libations Illume Classic Camphorous Balm. This fortifying fusion of perfectly potent and clarifying-camphorous essences lubricates the alters of your airway, keeps the fluids flowing, ventilates your vitality, and argues your case against airborne aversions. We’ve conscripted a cavalry of verdant essences to comfort and calm, cleanse and clarify, eliminate and illuminate until your vibrancy and vitality are rebalanced and restored. Formerly, Breathing Balm – new name yet the formula remains the same. This deep breather’s dream-balm is bottled apothecary. llume Classic Camphorous Balm contains extra emollient jojoba oil and happy beeswax that glides your glad exhalations and relaxes red and tired tissues. They are blended with the emancipating essences of hyssop, thyme, ravensara, rosemary, eucalyptus, and oregano so that you may speak, sing, and sleep unwinded. Anoint nostrils to lube during dry winter months and air travel. 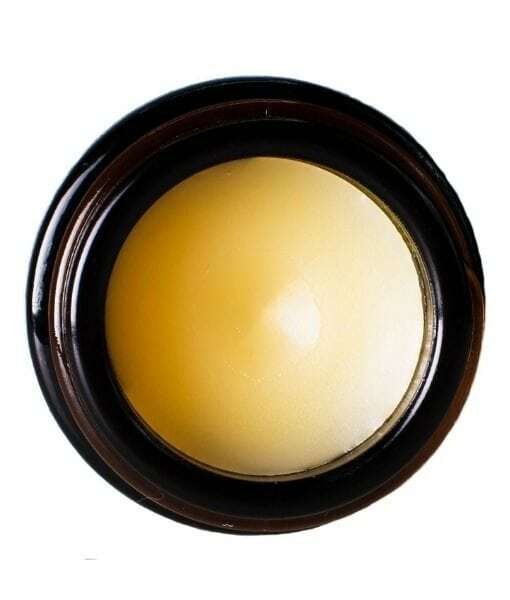 This balm is also the best for applying to the chest, soles of feet, and any skin that needs some liberating TLC. Jojoba (Simmondsia chinensis) – Glorious, golden jojoba nourishes and lubes thirsty skin. Jojoba has unparalleled ability to create long-lasting conditioning effects that soften and soothe the skin. It is packed with peptides and lipids and contains the highest levels of phenolic compounds found in nature along with antioxidants and all soluble forms of vitamin E! Hyssop (Hyssopus officinalis decumbens) – Happy hyssop is a practical and potent essence with a welcoming honey-herbal aroma. Steam distilled and organically harvested in France, this herb has been traditionally used to revive respiration and boost feelings of robustness. Thyme (Thymus vulgaris) – Thyme is on your side. Yes, it is! This heroic herb has a history of helping the body recover vitality and vibrancy. It is described as ‘perfume of the dawn in paradise’, a tendril of a plant that is herbaceous and sweet, and one of the most practical plant essences you will ever inhale. Always a favorite of herbalists throughout history, thyme’s fragrant botanical-biotics perfumes and purifies simultaneously. Ravensara (Ravensara aromatic) – Rare ravensara revitalizes! Steam distilled in the lush rain forests of Madagascar, this oil contains high levels of limonene, linalool, alpha-pinene, delta careen, sabinene, and a host of other potent botanical compounds. We think of this essence as the echinacea of aromatherapy, whether you are feeling the first signs of fatigue, or are seeking to avert a bout of imbalances, reach for ravensara. It is an illuminating essence, refreshing clarity and purity. Rosemary (Rosemarinus officinalis) – Rosemary is for remembrance; and this oil will help you remember to breathe. This time-tested aromatherapy essence gives a blessing to bound-up breath. Eucalyptus (Eucalyptus globulus) – Eucalyptus gets the fluids flowing. For decades upon decades, this essence has unplugged pathways and inspired humans to breathe deeply by cleansing and clearing spaces, places, and faces. Oregano (Origanum vulgare) – Opulent oregano is a classic botanical-biotic that illuminates ill-tempered instigators, eliminates airborne aversions, and stimulates clarity. Beeswax (Cera alba) – Queen bees are protected by legions of devoted worker bees and, likewise, the wax from happy bees will guard your nose and airways from the elements. Beeswax forms a breathable layer on the skin to seal in moisture and protect the delicate skin from dryness. “Contacting and overcoming a cold is connected to the immune functions of the respiratory tract. In the nasal cavities, air is moistened and cleaned. Immunocompetent cells, such as beta lymphocytes, are present in the mucus membranes and form a first line of defense. for long periods of time in the winter is a common prelude to an upper reparatory tract infection”. A beautiful balm for all kind of nasal and breathing issues (cold, allergies). Helped me much with breathing and kept the skin around my runny nose smooth. The small convenient jar stays always in my bag.?? ?